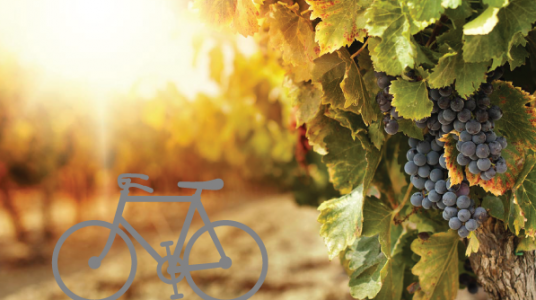 The Redgate Vineyard Ride is a gorgeous fun ride that tours four wineries in the Willamette Valley wine country. This lovely cruise features gourmet BBQ and a live band. The event is organized by Redgate Vineyards, well known for their gorgeous property and love of live music. They regularly feature bands at their Fieldhouse event space, and these folks know how to have a good time. Select from routes of 30 or 47 miles, each one on low traffic farm roads through the gorgeous valley. In this region, you can barely blink without missing a vineyard. The landscape is gorgeous, lush and orderly with endless rows of budding fruit on the vine. Over the past 20 year’s, Oregon’s wine culture has exploded. Wine overs from all over the globe flock to the region to soak in the beauty and sip world-famous pinot noir. This ride gives you the opportunity to pedal your way among some of the best as you sip and savor the day.